Baltic Audiovisual Archival Council (BAAC) is an independent nonprofit organization, founded as a voluntary association with a goal to foster cooperation between public and private archives, broadcasting and TV archives, libraries and museums that possess collections of audiovisual materials about the Baltic States, Scandinavian countries and the worldwide Baltic diaspora. The 15th BAAC annual conference, November 7-9, 2018 in Tallinn, Estonia. The workshop took place on April 9-10, 2018 and was hosted by the Lithuanian National M.Mažvydas Library in Vilnius. The Netherlands Institute for Sound and Vision today is publishing its new White Paper, Towards a New Audiovisual Think Tank for Audiovisual Archivists and Cultural Heritage Professionals. The White Paper identifies strategic priorities for audiovisual archiving in the coming decade and puts forward 10 concrete recommendations for collective action. This year’s BAAC conference was held on October 11-12 in Warsaw with the title “Second life of heritage collections - management and use of audiovisual content”. Europeana Radio brings easy and interactive access to Europe’s sound treasures and is now available to embed on your own website. The radio player contains over 200,000 historical music tracks collected from sound archives across twelve European countries. Application deadline has been extended to 3 April 2017! 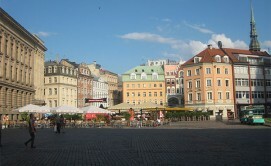 The IS&T Archiving Conference in Riga, May 15 – 18, 2017. BAAC, together with the Archivists’ Association and Lithuanian Central State Archive organized the International Photography Conservation Workshop in Vilnius 20-21 June, 2016. The Europeana Sounds project organises its final international conference – “Unlocking Sound Collections” – on Friday 4th November 2016 in Vilnius, the capital city of Lithuania. The Board of the Baltic Audiovisual Archival Council (BAAC) has made decision to document the history of BAAC with reference to the tenth anniversary of the work of BAAC in year 2015. The goal was to publish a book about the association. If you are fascinated walking in a medieval town watching old buildings, historical signs, sculptures set up in parks to remind you of the political events of the country and the city, drinking good wine and beer at prices suitable for the salaries of poor librarians, you go to Vilnius and you will have a good time. 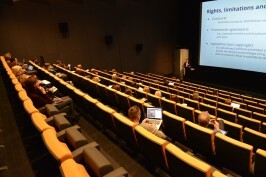 During a few days in October (28-30) around 60 delegates attended the annual conference, which this year celebrated the 10th anniversary of the Baltic Audiovisual Archival Council. International SOIMA workshop and conference in Brussels, 27 August – 4 September, 2015. Europeana Sounds, a pan-European project aimed at significantly increasing audio and audio-related objects available through Europeana, just celebrated its 1st anniversary. EUscreen, the European Network for audiovisual heritage, launches its renewed website offering free online access to thousands of items of audiovisual archives. The Board of BAAC had its first meeting of 2014 on March 6, in the city of Riga, Latvia. Two BAAC members – Juozas Markauskas and Zane Grosa - took part in a 2 day meeting in London at the British Library, representing their organisations – Dizi (Lithuania) and the National Library of Latvia. This meeting "kicked off" a new European project "Europeana Sounds", with about 50 people representing 24 partners from across Europe. 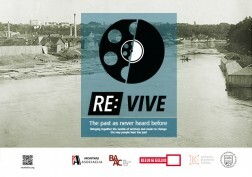 BAAC was invited to present its position in session Public Awareness on Audiovisual Art Works Conservationâ€œ at the International Conference "ExCHange for a challenge" in higher education for restoration, conservation and risk management of works of art, in Kocaeli (Turkey) 1-3 March 2012. This years conference was jointly organized by BAAC and Estonian Film archives, and hosted by the Estonian National library in Tallinn. After nearly three years of preparation and development, the European Film Gateway EFG http://www.europeanfilmgateway.eu is now online. 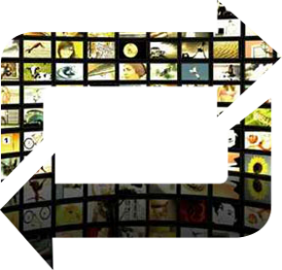 The Internet portal to the digital collections of European film archives and cinema offers free access to currently about 400,000 digital videos, photos, film posters and text materials. By September, the number of digital items will increase to 600,000 from 16 film archives. The professional BAAC Broadcasters working group visit and meeting to SRF was organized by the BAAC with the aim of learning more about the implemented digitization activities and policies within the institution. Since this year Lithuanian Central State Archive has been directly involved in the pilot action MIDAS Moving Image Database for Access and Re-use of European film collections. The BAAC board meeting, this time kindly hosted by the Latvian Institute of Literature, Folklore and Art, was of course, on this occasion, very much dedicated to finalizing the arrangements for the upcoming BAAC annual conference this year in Estonian Tartu September 24-27. At the end of 2007 Estonian Public Broadcasting awarded Reet Harkmaa for a longtime professional service in the Estonian Television news archives. The place and time for the 2007 IASA annual conference were finally approved during this years IASA conference "Between Memory and Oblivion".